Philip Larmour qualified as a dentist in 1998 and then as a doctor in 2005, both times from Dundee University. Having a special interest in Dental Implants, he earned a Master’s degree in Dental Implantology from Sheffield University in 2016. A practice owner in Renfrew since 2008, Dr Larmour is delighted to bring his knowledge and experience to Giffnock Village, where he felt there was a niché market for high quality dental treatment. He purchased the old Giffnock Medical Centre in August 2016 and converted it to Giffnock Village Dental Care. Originally from Govan, Dr Larmour attended St Gerard’s Secondary School from 1980 to 1984. He left aged 16 to become an apprentice mechanical engineer at Babcock Power Limited. He became a time served engineer and left in 1990 to pursue a career in Dentistry. He attended night school at Cardonald College and Langside College to obtain the necessary Scottish Highers to enter Dundee Dental School in 1992. He qualified from Dundee University with a Bachelor in Dental Surgery (BDS) in 1998. After leaving Dundee Dental School, Dr Larmour did his Pre –Registration year as a Dental Vocational Trainee in Bathgate. He then worked as a dentist in Edinburgh for a further year. In 2000 he began his hospital career at Pinderfield’s General Hospital, Wakefield, West Yorkshire, where he worked in Oral & Maxillofacial surgery as a Senior House Officer and then subsequently as a Staff Grade. He continued his experience in Oral and Facial Surgery as a locum specialist registrar, on call during weekends and weeknights. After studying for the Diploma (MFDS, RCS), he was accepted as a Member of the Faculty of Dental Surgeons at The Royal College of Surgeons of Edinburgh in 2001. Later that year he was accepted to Dundee Medical School where he qualified with a Bachelor of Medicine and Surgery (MBChB). As a doctor, he completed the two year Medical Foundation Training at Crosshouse Hospital, Kilmarnock and the Southern General Hospital, Glasgow. He returned to General Dental Practice in 2007 and purchased Parkview Dental Surgery in Renfrew in 2008. He was accepted as a dental trainer in 2011 and Parkview was given approval as a training practice. To date, he has attended many courses in Cosmetic Dentistry and Facial Aesthetics. His experience as a doctor and in Oral & Facial Surgery gave him a special interest in non-surgical facial treatments such as Botox® and Fillers. 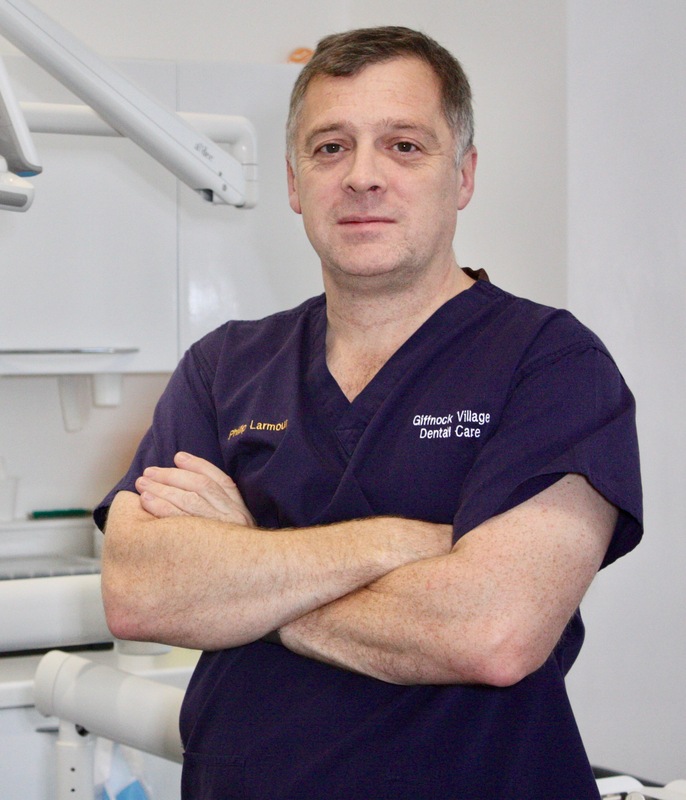 He has studied extensively in Dental Implantology, most recently obtaining a Master’s Degree at Sheffield University.